The American Colonies, 1775. It’s a time of civil unrest and political upheaval in the Americas. As a Native American Assassin fights to protect his land and his people, he will ignite the flames of a young nation’s revolution. In Assassin’s Creed® III, eliminate your enemies with an array of new weapons including guns, bows, tomahawks, and trusty hidden blades. The game has been in development for over 3 years and features the new Ubisoft-AnvilNext engine, a stunning technology that will revolutionize gaming with powerful graphics, lifelike animations, immersive combat, and advanced physics. 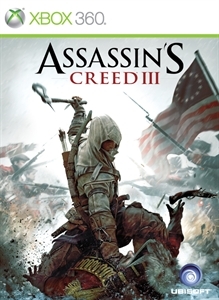 With an all new setting, assassin and engine, Assassin’s Creed® III takes you back to the American Revolutionary War, but not the one you’ve read about in history books.